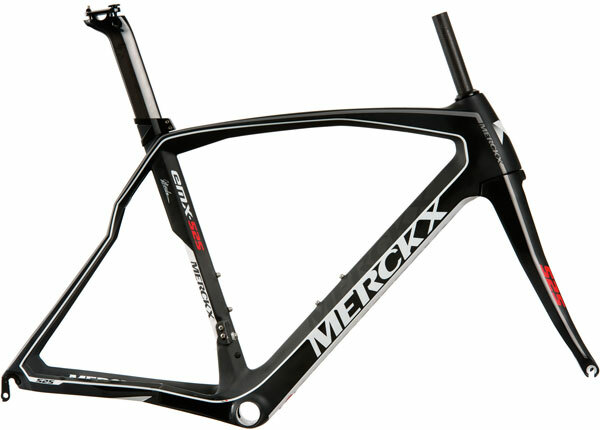 Numeric bike model names can be a little cold and soulless but the latest Eddy Merckx is in no danger of that. 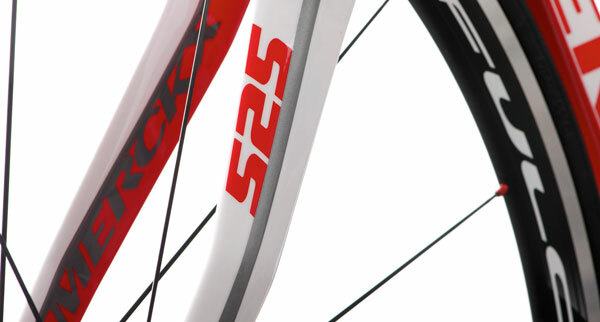 The 525 nomenclatures designate the number of professional victories the brand’s namesake achieved during his career. Iconic palmares aside, the bike warrants attention in its own right. As befits a company hailing from a land where the racing is as tough as its founder, low weight was not at the forefront of the designers’ crib sheet. Handling is king and they feel that maintaining stiffness between axles is key. 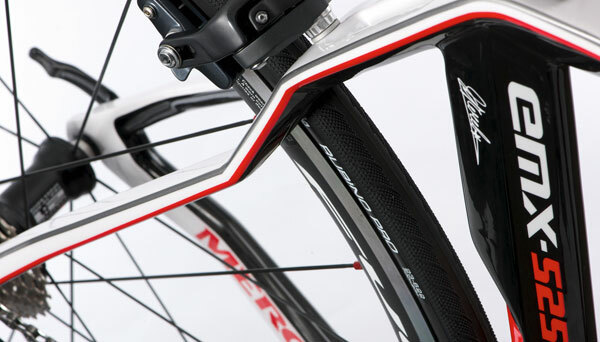 Up front, a tapered Aero 2 fork (original naming guys) runs external ribbing to combine with the oversized lower race to resist steering and braking loads. Moving rearwards, a frankly huge downtube offers obvious stiffness and joins a BB86 bottom bracket shell (one of the widest bb shells on the market and offering the largest tube junction). You expect large chainstays but the unusual asymmetric seatstays are designed to resist the very different loads on the rear of the bike. Drive-side they bow to resist splaying loads; non-drive they are straighter to fight compressive forces. 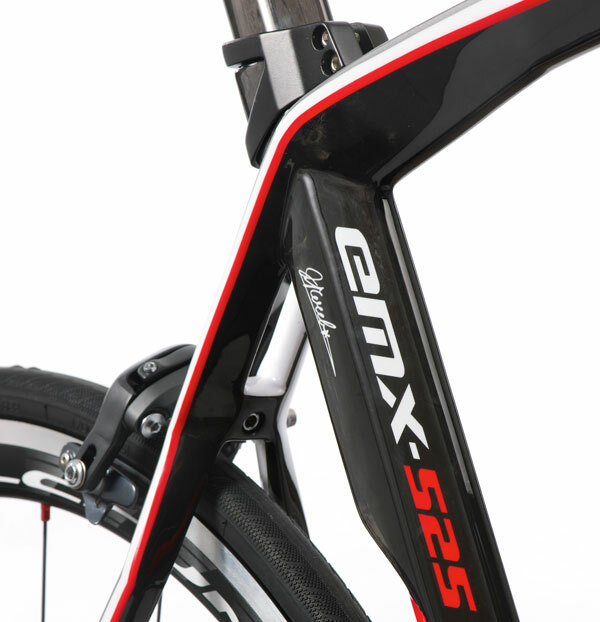 Electric groupset specific, the EMX-525 is unashamedly top-end and unreservedly aimed at racers. Even from a glance you can tell Merckx was a belgian. This machine looks set to eat Kermess racers for breakfast. Prices start at the Frame, fork and aero seatpost package for £2899.99 but a complete bike is also available. 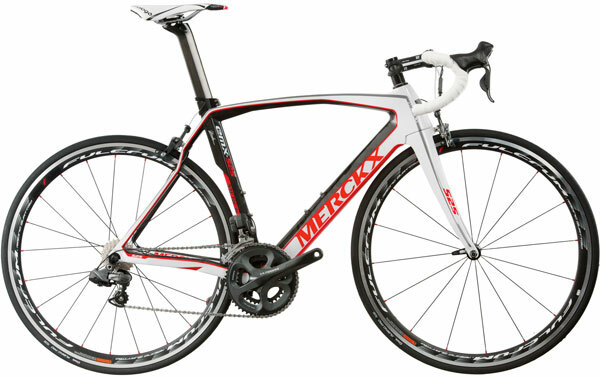 Fitted out with Ultegra Di2, 3T kit and Fulcrum’s Racing Quattro’s, it will hit the till at £4499.99. This article was first published in the MONTH DAY issue of Cycling Weekly. You can also read our magazines on Zinio and download from the Apple store.